Wayne Dyer, like Neville Goddard, has several manifesting techniques. You intend for the desired thing to happen. "I INTEND to be healthy." As opposed to Neville's "I AM healthy". Dr.Dyer also advocates thinking from the end, seeing your desire as already done. But one of his most famous techniques is the Japa meditation using the sound of "Ahh". I've written about the Ahh meditation here before, but let's recap. This meditation was given to Wayne Dyer years ago by Dattatreya Siva Baba. 3. Now, close your eyes and say the sound "Ahh" out loud while imagining the sound traveling up from your root chakra to the 3rd eye. Picture what you want in your third eye and send the sound of "Ahh" into it. I have seen it recommended to do this 20 minutes a day. Dr Dyer has two CDs that I know about, using the Ahh meditation, " Meditations For Manifesting" and "Getting in the Gap". Of course this is a VERY simpified version of Dr Dyer's teaching. 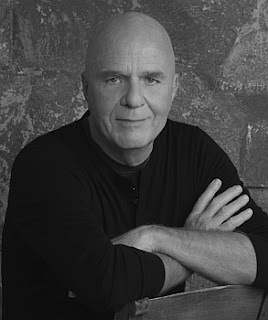 You can go to his website here: http://www.drwaynedyer.com/ to learn more. Mind is the master power that molds and makes. And man is mind, and ever more he takes The tools of thought, and shaping what he will, Brings forth a thousand joys, a thousand ills. He thinks in secret and it comes to pass, Environment is but his looking glass. I just read this in a wonderful book called "These Truths Can Change Your Life" by Dr. Joseph Murphy, one of my favorite teachers.